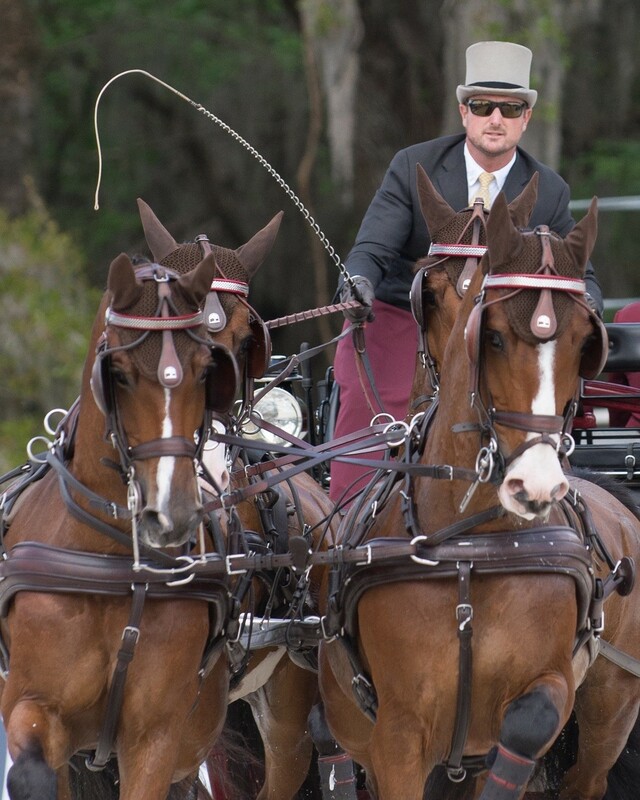 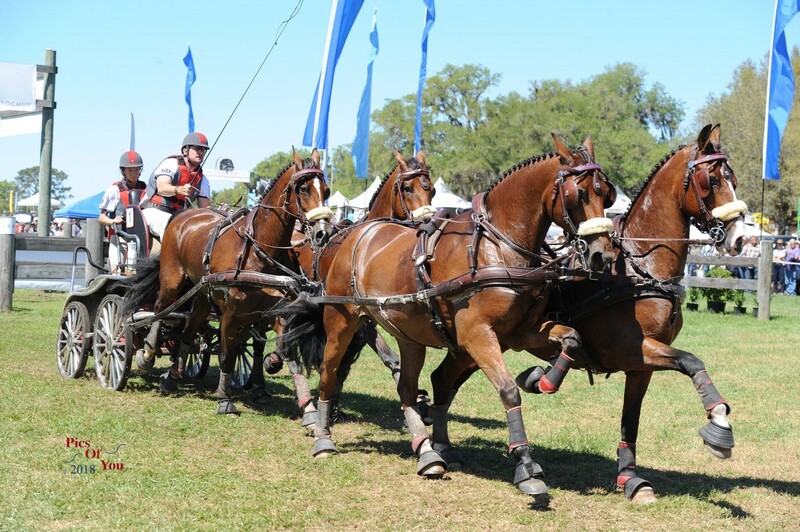 Ocala, Florida (March 26, 2018) — They are the most “fab four” since the Beatles, and for Chester Weber and Jane Forbes Clark, horses Splash, First Edition, Boris W and Asjemenou performed in perfect harmony as Team Weber won phase after consecutive phase of Live Oak International’s combined driving competition, earning Weber an unprecedented 15th USEF Four-in-Hand National Championship and Jean Keathley Perpetual Memorial Trophy for best (40.11) FEI Dressage Score. 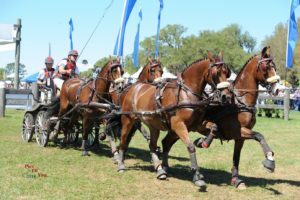 In addition to defending his reputation as ‘Mr. 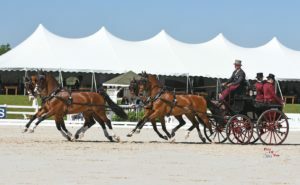 Dressage,’ Weber piloted his team to a brash (123.58) attack over the Marathon course and finished with a quick and handy final Cones phase, proving that the inaugural change from grass to GGT all-weather footing in the Live Oak Grand Prix arena suited Weber’s own team as well as those of his competitors. 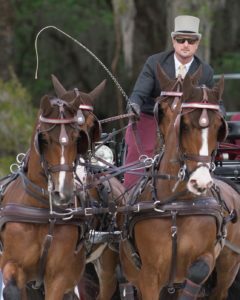 Weber, already seen as one of the finest whips in history, is also a true horseman at heart, and dedicated to the welfare of the animals in his care, as well as the preservation of the time-honored sport of combined driving. 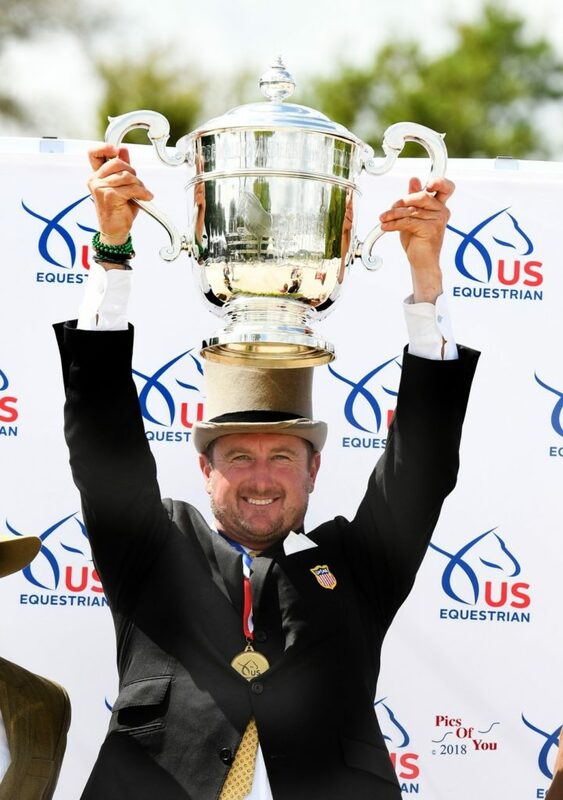 Follow the Team Weber campaign to the 2018 World Equestrian Games, and more news, results, photos and combined driving updates on Chester Weber’s official Facebook page, Instagram account @ChesterWeber, and website, www.chesterweber.com.